A brilliant laptop sticker depicting the beautiful landscape of the North Pole. Complete with reindeer, santa´s house. 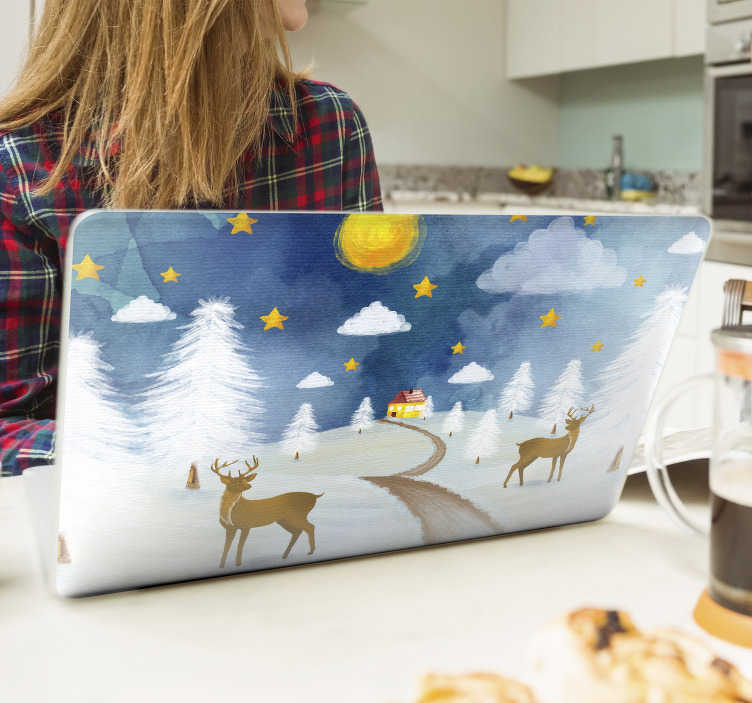 At Christmas, every single one of your possessions should be wearing festive decor: If you have been searching for a laptop sticker, look no further! Available in a variety of sizes. Like all of our decals, it is easy to apply and extremely long-lasting. Made using bubble-proof material and leaves no damage or residue upon removal.